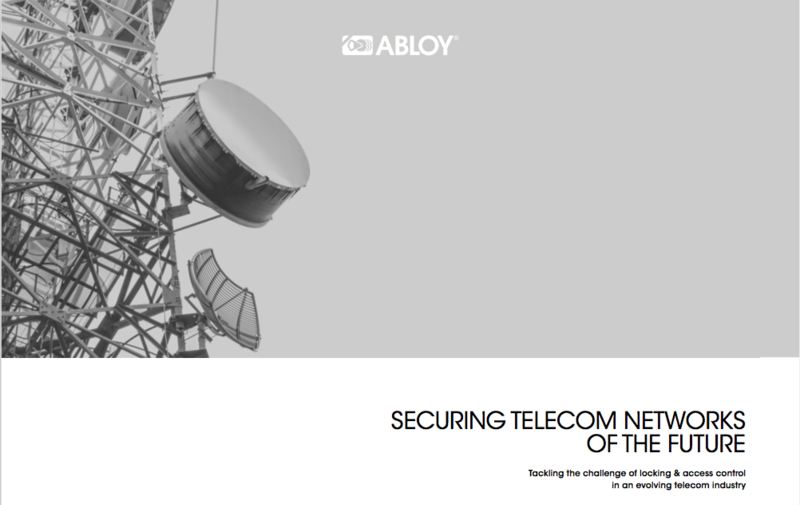 Security expert Abloy UK has launched a new White Paper aimed at the telecom industry. The White Paper – Securing Telecom Networks of the Future – describes the threats and challenges faced by the industry specifically related to tower and site security, and introduces new locking solutions to minimise these risks. also affecting regulation and legislation, which is further driving the fast-paced evolution of the telecom industry. With a generation of customers who have grown up in a world where mobile networks are taken for granted, consumers expect service providers to deliver the impossible, putting increased security pressures on telecom companies. Tackling key challenges within the industry, the White Paper presents the benefits of Electromechanical locking solutions such as Abloy’s PROTEC2 CLIQ and CLIQ Connect which offer increased security, flexible and auditable access control, as well as operational efficiencies with the combination of mechanical and electronic features. The full document can be downloaded at http://bit.ly/2s4pCB1.